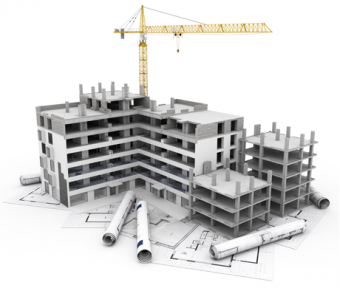 Thinking of buying off-the-plan apartments? Purchasing properties off-the-plan can be risky and Contracts of Sale are commonly worded to the benefit of the developer. We recommend that clients see us for pre-contract advice before they sign so that we can highlight the clauses which are not favourable to you and request amendments from the developer. Please contact us if you have any questions in relation to off-the-plan properties. What can you do to avoid your conveyance going pear shaped? There are many pitfalls in conveyancing and a lot of these can be avoided by getting pre-contract advice before signing your Contract. It is important that you know that you are entitled to pre-contract advice before signing the Contract whether you are a buyer or a seller. Your conveyancer/solicitor will go through the Contract to make sure all bases are covered and especially for your particular circumstance. The deposit, how is this to be paid by cash or bank guarantee? When is it payable? Is the Contract being purchased in the correct entity (this is especially important where finance is being advanced or it is through a self- managed superannuation fund). Is the property tenanted? Does the buyer need vacant possession? Included or excluded fixtures and chattels do these need to be stated on the Contract? Special Conditions – ensure that conditions are practical i.e. dates to fall before settlement. It must also specify who is to comply with condition meaning the Buyer or Seller? For example who is to organise the Body Corporate approval of pet? Does the property have new structures which would need Council Approval? Amending or terminating the Contract. Remember that a fully executed Contract is a binding agreement. Changes must be made either by written correspondence or by formal agreement. Consult a Solicitor further regarding this. Should it be made subject to the sale of an existing property which you may be relying on funds for to complete this new purchase? In our experience a lot settlements fall over or are delayed because not enough thought is given to these types of matters at the beginning of the process. Our responsibility is to help you avoid the pitfalls and we would be only too pleased to help you.